HAPPY BIRTHDAY ZSA ZSA, RONNIE, AND THURL!!! BETA MAX TV SAYS HAPPY BIRTHDAY TO AN ACTRESS/SOCIALITE, AN ACTOR/PRESIDENT, AND THE VOICE OF A TIGER!!! We here at Beta Max TV love a party so we’re celebrating the birthdays of three very famous and very different celebrities today. 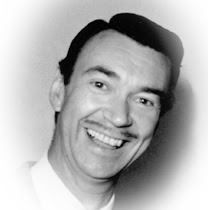 February 6th is the shared natal day of Zsa Zsa Gabor, Ronald Reagan, and Thurl Ravenscroft. 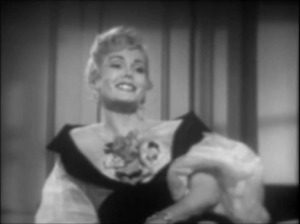 Zsa Zsa Gabor, perhaps known as much for her multiple marriages as for her acting credits, is part of an all-star cast in our first feature although she is never actually seen. MOOCH GOES TO HOLLYWOOD (1971, written by Jim Backus) is the story of a dog who goes to Hollywood to break into show biz, Zsa Zsa plays Mooch’s guide and advisor, giving Mooch tips on how to make it big as she narrates and converses with our furry star, never appearing on screen. But for an obscure, goofball B-movie, the movie’s star power is impressive with appearances by Vincent Price, James Darren, Jill St. John, Jim Backus, and Mickey Rooney. Mooch herself is played by Higgins, the well-known canine star of Petticoat Junction, Green Acres, and The Beverly Hillbillies. And it appears Zsa Zsa’s advice worked well as shortly after this movie, Higgins landed the meaty role of Benji in the movie of the same name. Ronald Reagan, known by some as the 40th president of the United States, started his acting career in the 1930s, eventually appearing in over 80 movies and TV shows. In the 1950s, he was the host and frequent star in The General Electric Theater, a showcase of short comedies and dramas. 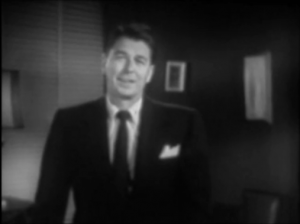 In THE HONEST MAN, Reagan hosts a comedy featuring Jack Benny and birthday girl Zsa Zsa Gabor. Benny plays a super-honest piano tuner whose rather drab, mundane life becomes rather exciting when jewel thieves involve him in their heist and a relentless and amorous Countess (Gabor) also pursues him in a much more romantic way! Call up your chimp friend Bonzo, put on your diamonds, and grab a bowl of cereal. If a fun 3-way birthday celebration today on Beta Max TV!!! 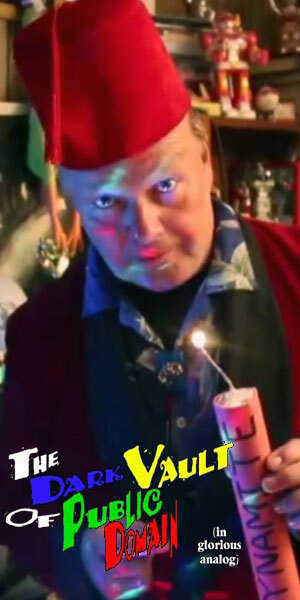 ← A NIGEL BRUCE BIRTHDAY DOUBLE FEATURE!! !